The ultimate jean is back in Light Wash! Thick but not too thick, and definitely not thin. This stretch denim has substance. One of the best skinny denim's on the market and the price point is unbeatable! Great quality, great fit, exactly what we need in a good pair of jeans. 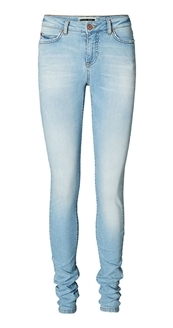 If you love the Lucy Jeans you will love the Marcie Jeans - same great fit with a different wash.